COJO can provide a complete end to end service including the provision of a webpage linked to your website with shopping cart facility, inventory management, third party logistics (3PL), packaging supplies, warehousing and storage, pick & pack, distribution and online reporting. We enable corporations, marketers and online retailers to maximize business potential by outsourcing all fulfillment requirements to an organisation truly focused on their specific needs. COJO uses one of the world's leading fulfillment systems. You can expect Service Level Agreements (SLA's) that provide for integrity in inventory using barcode scanning technology. Superior pick and pack methodology, tight Quality Control measures, extensive CCTV security, efficient speed to completion and competitive pricing. Whether you ship 10 orders per day or 10,000, COJO can provide you with first-class fulfillment at affordable prices. We offer a full range of third party logistics (3PL) services that enable you to concentrate your efforts on generating demand for your business. You are secure in the knowledge that our distribution services will create a positive image with each of your customers. We tailor what we do to the needs of each client. We provide impeccable service that creates the feeling that we are an extension of your business operation. With over a decade of fulfillment experience in conjunction with the needs of your company we work to establish standardised handling procedures that will deliver goods to your customers in the way you are most comfortable with. We take the time to understand the things that are important to you and adjust our system to accommodate these needs. We have developed a simplified approach to pricing that puts you in the position of understanding your costs up front. Using this approach enables us to create a custom-pricing plan for each client so they are billed only for the services they require. Fulfillment is a method by which you own the inventory, and have another organisation pick, pack and dispatch those products on your behalf. Other capital outlays such as packaging equipment and supplies etc. Fulfillment services are a benefit to companies that do not want the hassle and expense related to the management of the entire inventory process of receiving, packaging, shipping, stock take and reporting. This could be one of the most important decisions you will make in your business. Handled correctly, you can reduce order processing and warehousing costs, possibly get shipping discounts, massively cut back on employment hiring and training expenses, and spend more of your time marketing your products and growing more profitable with each sale. You will be better prepared for future growth as you will be able to utilise the greater warehouse capacity of your fulfillment provider without the need to expand the footprint of your premises. You can focus on your business and vertical and horizontal marketing. Your fulfillment distribution is taken care of by professionals with specialised and streamlined processes, using software and technology that is at the leading edge in this sector. You will significantly reduce your expenses. 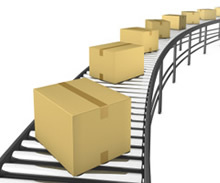 Fulfillment companies have tried and proven methods to more efficiently and accurately process your orders. It is their primary focus to do so. Fulfillment companies understand shipping and will find the best rates available. Save money on process and packaging. Labour is no longer your concern. Fulfillment service providers will handle all of the staff planning related to seasonal peaks and troughs, will have the correct training, work cover, insurance, and superannuation in place, and have all the responsibility of hiring and firing, etc. Receiving Process - Inventory is received by COJO. A count of the items received is recorded in the inventory management system according to the suppliers dispatch slip, and the physical number of boxes, skids, pallets etc received. Then stored in the warehouse in its assigned location. Typically a notification is sent to the product owner via email, or phone. Formal order placement direct to us via the website link, or by the supply of a database from your order management system via email or on a secure FTP site. Confirmation that the order is booked and/or received, confirmation can be posted to the screen, supplied via email, xml, or by data being posted back to you for your order management system. These items are deducted from the stock count if available. Depending on the fulfillment capability, the status of the order is then set to either "backordered" (if there is not enough inventory to ship the order) or "ready for fulfillment" meaning that the order will be picked and packed in the next "batch." Changes to orders can be made by the client at this time. It is important that these changes are made before the order has started to be printed or picked and packed. This prevents orders from being sent with incorrect contents, or incorrect address etc. If the orders are to be accompanied by personalised documentation, or are related to a print on demand product, the item(s) are placed on a print queue and will be printed in preparation for the Pick and Pack stage. If envelopes require addressing they will be placed on the inkjet print queue and be made ready for the Pick and Pack stage. If the package for dispatch requires labels they will be placed on a laser print queue and will be printed prior to the Pick and Pack stage. A Pick List is automatically generated and the order contents are "Picked" using barcode scanning technology and assembled according to the order requirements. The contents are verified against the original order and against an addressed envelope or label. The assembled items are then packaged using a variety of packaging supplies determined by you, including envelopes of all descriptions, cardboard boxes, mailing tubes, styrofoam fillers, jiffy mailers, bubble wrap etc. An addressed label and any other finishing touches will be applied to the package. Depending on the service required (Express Post, Registered Mail, standard mail or local, national or international delivery), COJO will correctly address the envelope/bag/satchel and organise the requisite delivery medium. 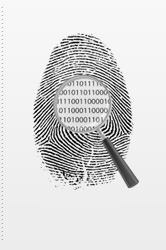 If required, tracking information is provided to the client, or the customer for the dispatched order. The package is delivered to the consignee / customer. We offer more than just the typical printing, mail processing, speciality paper products and fulfillment options - we take the very latest market intelligence and technology and bring it to a whole new level. COJO backs you with the experience and the intelligence to help you better connect with your customers. Through digital fulfillment, business process improvement and supply-chain management, we draw on our deep pool of experience and expertise to generate measurable results for your company. Solutions that help you reach your fulfillment marketing and communication goals - from deepening your customer relationships to enhancing your profitability. There are only a few ways that you will charge your customers for the shipping and handling aspects associated with putting your products in their hands. Delivery is included in the purchase price of the product you are selling. This is often the simplest way to make sure you charge your customer for shipping. The issue is that you have to consider the weight of the items you are sending, and how multiple items will affect the shipping weight of the package. Also, you need to consider that other variables exist, such as how the destination zone will affect the price of the transportation. Real time calculated delivery rates. This is by far the most accurate way to charge your customers correctly for shipping expense. However, it is nearly impossible to accurately predict the packaging. Especially with express packages, where there are concerns with "dimensional weights". Hopefully, you have enough margin to offset the occasional scenario where you could not predict the packaging. Flat-Rate delivery, is another way that businesses will often charge to cover the expense for transportation. If this is done methodically, and you estimate high, you can cover your shipping expenses. The downside is that you could potentially undercharge some customers, and, overcharge others. Delivery costs as a percentage of the sales value. Generally, the higher the sales value, the less you would charge for shipping.